This chapter will briefly summarize the background of methane production from natural gas and biogas together with an introduction to the biomolecular basis of methanotrophy and the actual and potential commercial applications. This chapter also discusses the safety considerations for using methane in laboratory and safe development of methane-based bioprocesses. 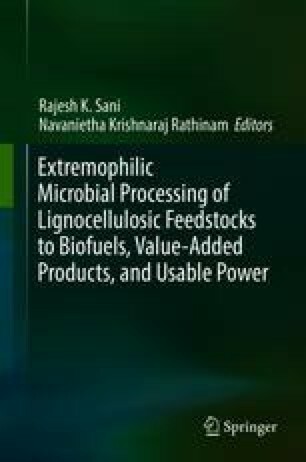 In the end, this chapter will focus on the process development for biological conversion of methane into desired products with attention to the enhancement of mass transfer efficiency and the development of bioreactor designs. This work was supported by Key Research and Development Plan (2017GY-146) of Shaanxi Province of China and the Advanced Research Projects Agency-Energy (ARPA-E) of the US Department of Energy.